euro.message products and services let brands to design, build, automate and optimize experiences that facilitate engagement, increase conversions, and deliver measurable business results across email, mobile, web and social media channels. 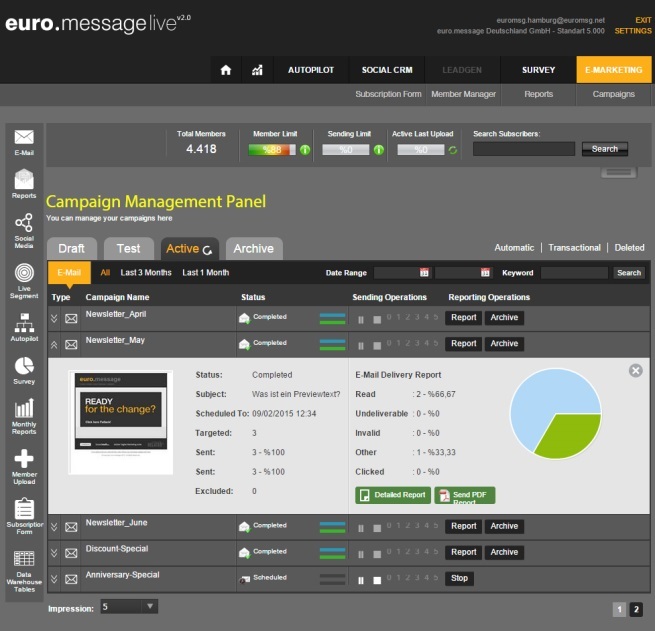 With euro.message marketers get an integrated cloud-based platform with enterprise level campaign management, predictive analytics, reporting and automation tools, accessible via the web without any additional software installation requirements. euro.message is the flagship company of the RELATED GROUP; a group of integrated companies offering a wide-range of digital marketing services for many of the world’s well-known brands including companies like BMW, Mercedes Benz, Philips, Siemens, Estee Lauder, Starbucks, Turkish Airlines and Angermann Group. euro.message was originally founded in 2002 as an e-mail marketing company that pioneered multi-channel campaign management in Turkey. euro.message built on its flexible and scalable foundation, expanding its products and solutions to support the evolving needs of digital marketers and e-commerce managers. 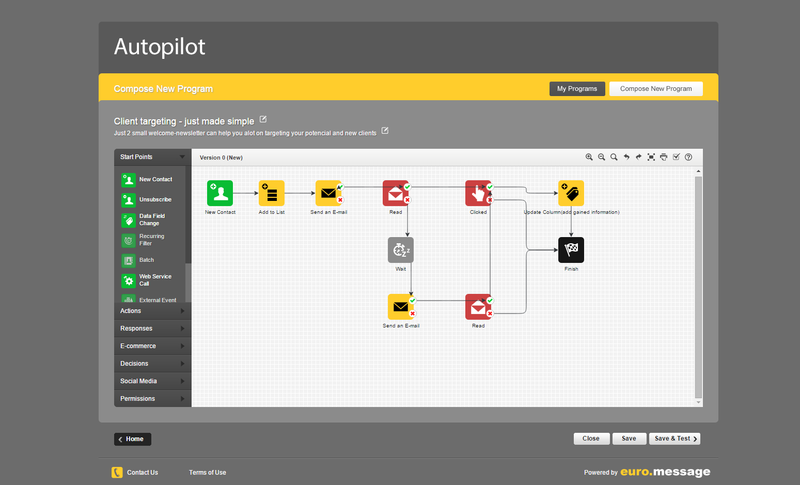 The addition of Visilabs Intelligence and Omni-Channel Personalization to the Related Group extended the capabilities of euro.message into an omni-channel platform that unifies e-mail, online, offline, mobile and social channels with marketing automation and powerful customer intelligence. euro.message Deutschland GmbH is a member of the Certified Senders Alliance. 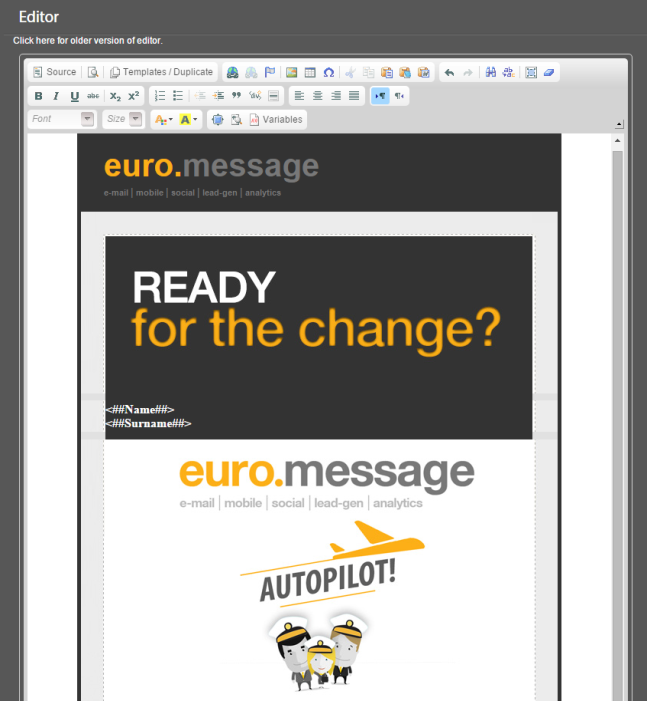 Are you looking for an euromessage alternative for your email marketing? We listed some euromessage alternatives.